Advent of classified sites has reduced our burden to pay additionally to the middlemen, who just mediates the buyer and seller and goes out with a huge profit. Not just the middlemen were thrown out, but it also triggered a healthy practise of enabling the potential buyers and sellers to directly communicate with each other. Quikr, India’s leading and trustworthy classified site has come out with yet another innovation (in fact revolution) to protect your privacy. Just talk to the one, who wish to buy or sell. Yes, you read it right, no more annoying calls from people who are not interested to buy. No need to give your personal email and mobile number; just chat from the website or from the app directly by giving your Quikr id alone. Quikr has entered the next generation classified and aptly they named it Quikr Nxt. 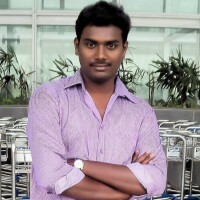 Before getting into the features and reasons about why I prefer chat over a phone call and also about why I recommend it, I thought to give a glimpse about my experience with Quikr. My very first attempt with classified sites way back in 2005 was a failure; in fact the sites which claim to be classified used to be filled with spams. I guessed Quikr will be on such site when I came to know about its existence in 2010 (the site was born in 2008, though a blogger I was not aware about it). My maternal uncle purchased a Ford car, just a year used from a guy who is shifting to US and he gave it at a throw away price and all his demand was that the deal need to be completed within a day or two as he had no time to bargain or wait for a better cost. 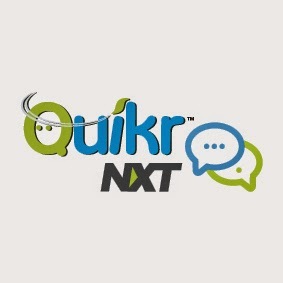 To me privacy is the first and foremost reason where Quikr NXT scores. Now women who hesitated to sell a product just because they have to give their number or mail will have no issue. In fact they can even create an id with a pseudo name and sell their products. Once they find a potential customer, direct communication can be made. There was also a fear among many that if they publically give their number in website, they may be harassed by miscreants. Now they don’t have to break their head worrying about such wrong calls. Usually sellers come out with a photograph of a best view. Particularly when you buy a car, the exterior from a particular view might look great. But when you meet the seller directly, you find the same car differently. So you don’t have to waste time. Just chat with the seller, ask him to send the snaps of your choice of view and decide. Its saves a lot of time. Buyers and Sellers just don’t communicate to a single person before buying a product. In fact sometimes they get confused to such an extent, there by promising to pay extra to someone who was already ready to sell at a cheaper price and vice versa for sellers. Now with the chat, you can just scroll and see what you promised already thereby proving you’re trustworthy. Quikr NXT has many more to offer and it’s just a beginning. I loved it, do you? Give your feedback in comments and I would be glad to read them and interact. Let’s see how much we coincide.